Welcome to the laser treatment section of our blog! We’re glad that you’re taking the time to educate yourself about permanent cosmetics and the other beauty services we offer. On this page, you’ll find a variety of information about laser treatments, an innovative method of sculpting the body you’ve always wanted. With no recovery time or unsightly surgery scars, you’ll wonder why you ever considered plastic surgery! 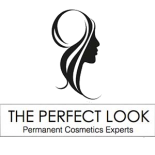 If you would like to learn more about laser treatments or permanent cosmetics, then please reach out to a member of The Perfect Look by filling out our short online contact form. We look forward to speaking with you soon!